Every day, businesses are discovering new ways to tap into the power and potential of big data. Due to access to unprecedented amounts of information on business performance and consumer behaviour, companies are now able to refine their products and services in limitless ways. The insurance industry provides a good example of data being leveraged to help make beneficial business decisions. This industry is a natural fit for business intelligence (BI) and analytics, since it is based on risk. The decision to take out an insurance policy, by both commercial and personal customers, is based on the likelihood of an adverse event occurring and negatively affecting them financially. Insurers offer coverage to customers based on a number of factors, which together can be used as an assessment of the cost of covering any claims. The industry is both people-centric and data-rich, meaning that insurance companies are in an ideal position to refine their business practices by utilising modern data analysis. Specifically, there are several key operational areas within an insurance company that can be transformed using modern analytics techniques. For insurance sales teams, the ability to make fast and accurate recommendations is vital to success. Sales representatives need information at their fingertips while on site with brokers or clients—whose needs constantly change. Moving to a mobile solution is inevitable, for this reason. Traditional sales solutions are not equipped to handle the needs of a modern sales team and legacy systems fall short by failing to provide in-depth insights into individual customers or prospects when they are required. Mobile access to resources provided by modern BI tools now provide sales representatives the insights at that crucial time, boosting productivity and providing a competitive edge. The type of content that is readily available includes context-aware maps that help determine which account to visit next, multimedia content, like sales presentations and training videos, and real-time access to quote analysis, buying patterns and demographics. For insurance professionals dealing with claims, fraud detection is critical. The ability to spot inconsistencies helps insurance companies identify suspicious cases and avoid costly pay outs for fraudulent claims. However, fraud perpetrators are becoming more sophisticated and are able to manipulate most rules-based fraud solutions on the market today. That’s where predictive analytics can help. Armed with deep insight into their claimant pool and powerful exception-based reporting, insurance companies can identify fraud sooner and more effectively at each stage of the claims cycle. These predictive models use a powerful combination of rules, modelling, database searches and exception reporting that is more difficult to maliciously manipulate. It is critical that the claims process is as efficient and effective as possible, as it is typically the single largest expense for an insurer. There is an incredible amount of data which processors and underwriters have to sort through on a daily basis—from adjusters’ hand-written notes, to data from fraud lists, to information stored in claims management databases. The accuracy of underwriter calculations is a critical factor in the success of the insurance company; if the calculations aren’t precise, the company runs the risk of being overpriced in comparison to the market or even suffering significant losses from unexpected claims pay outs. In order to improve the efficiency, it is imperative that adjusters find ways to streamline their processes. Powerful analytics reinforce the underwriters’ ability to confidently act upon massive amounts of data related to customer credit history, risks, market information, and more. Furthermore, analytics allow claims adjusters to easily assess critical data related to policy information, police reports, loss, frequency and severity. The added benefit of mobilising applications is that adjusters can access claims information anywhere and directly input critical information related to a claim, such as photos or notes from accident scenes, auto repair shops, or other relevant locations. The insurance industry is constantly evolving, and companies that fail to keep up with these changes risk lower profit margins and eroding market share. Hence, customer management is more important than ever. Given the limited opportunities for face time with customers, it is especially critical that insurers maximise every customer interaction. By analysing data, businesses can gain greater insight into the preferences and behaviour of customers, keeping them one step ahead of the curve. Comprehensive customer profiles provide a better understanding of customers’ preferences, lifestyles, call centre interactions, and other key characteristics. Insurers can leverage and utilise this data to deliver highly relevant and personalised offers and services, thereby forging a deeper connection with their target customers. Social media provides a particularly rich source of data, with information that is accessible in near real time, directly from the customer. By tapping into this data with analytics, insurers can create smarter marketing campaigns, adapt more quickly to consumer feedback, and create new products based on consumer preferences and interactions. Given the multitude of ways that analytics can make an impact on how insurance companies do business, it is unsurprising that this industry is leading the charge in analytics innovation and BI adoption. The true value of analytics lies in the ability to arm decision makers with access to critical information when and where they need it. 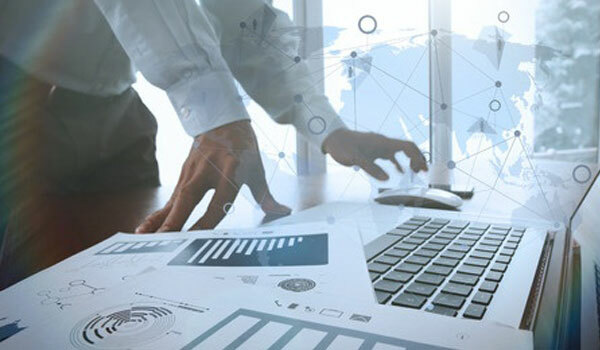 Institutions that capitalise on new analytics technology will see returns in increased efficiency, visibility, and streamlined management processes.